When we need to find our Internet (external) IP address, we like to open our favorite web browser and simply type into Google my ip address. Sure enough, Google never fails us with the correct results. 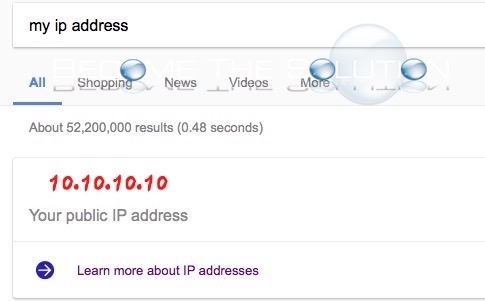 So is there a quicker and more efficient way to find out the public IP address your computer is sitting behind? You can use Terminal to find out your external IP address quickly. 2. We will use curl ifconfig.me command to output our Mac’s external IP Address. Ifconfig.me is a service that displays information about your Mac’s network connections settings. 3. Type the following command in Terminal to reveal your external IP Address. 4. Your IP Address will display in Terminal. For all output of ifconfig.me, type the following command. Now you know of a new clever way to get your Mac’s external IP Address!